Fall is upon us. 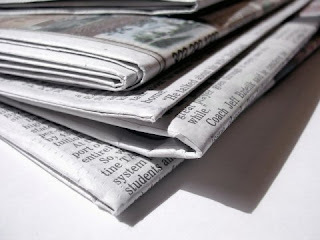 Stay inside and keep warm from the brisk weather, drink some apple cider, and enjoy some articles that caught our eye! CNN: And the top 10 CNN Heroes of 2012 are ... For their extraordinary efforts to help change the world and better the lives of others, 10 everyday people will receive $50,000 and a chance for much more. Huffington Post Impact: Adrian Grenier, Peter Glatzer Of SHFT: From 'Entourage' To Entrepreneurs Grenier and Glatzer decided to take their own eco-consciousness to the next level, starting Los Angeles-based SHFT.com. The site curates cool products that are also green, ranging from a doughnut-shaped iPhone speaker made from recycled paper to felt planters. September 21: World Gratitude Day World Gratitude Day was originally created in Hawaii in 1965 by Sri Chinmoy, the director of the United Nations Meditation Group, although it was first celebrated in the United States in 1977. The day is meant to raise awareness of and appreciation for those who work to make a difference, be it locally or on a grander scale. Unemployment for adults between 20 and 24 is 14%, compared to the national average of 8.1%. But even those with jobs are facing something without modern precedent: Steadily falling annual earnings. Looking for more good reading? Check out the Kive Fellows Blog at fellowsblog.kiva.org.